Bjergsen unable to carry on his patented Syndra, drops TSM to 2-2 for the season. TSM fans were assuredly excited following a draft that saw both of their carries land on extreme comfort picks. For Zven, he logged his 37th career game of Ezreal, a champion which he has already played in every match this split except one. Meanwhile, Bjergsen found himself on Syndra, who is by far the most played and most successful champion of his career. Out of 65(!) games of Syndra, the Danish mid-laner has an impressive 68.8 percent win percentage. Unfortunately, no level of comfort could help TSM escape what turned out to be a damning early game. First, a botched gank by Akaadian in the top lane lead to first blood for Santorin. Then, Zven and Smoothie handed a double kill over to WildTurtle after losing a 2v2 between the bot duos. A well-executed Call of the Forge God by JayJ helped set up those kills for FlyQuest. 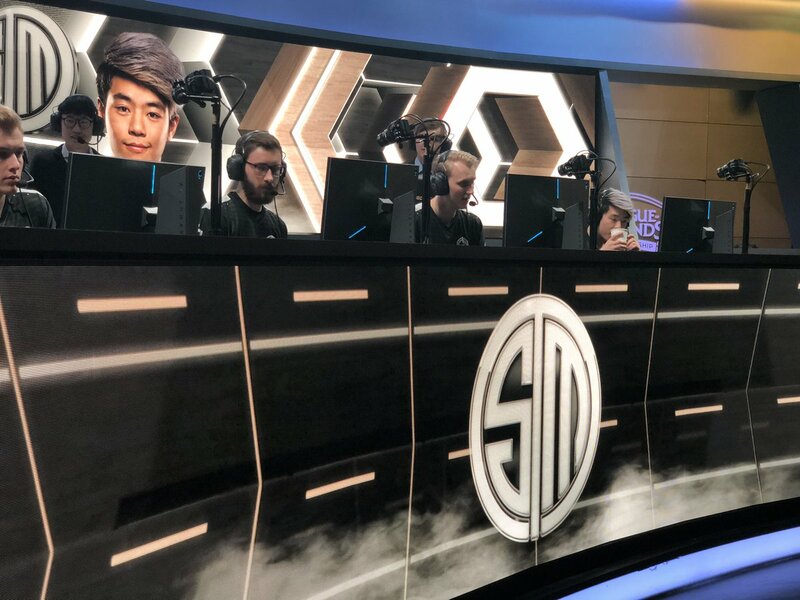 Pobelter then began to rack up kills on his Zoe throughout the mid-game, while TSM struggled to make proactive plays or succeed in team fights. However, near the 34 minute mark, TSM’s composition finally began to come online. BrokenBlade appeared unkillable with his Gargoyle Stoneplate and Guardian Angel, while Bjergsen and Zven finally started dealing meaningful damage to the squishy FlyQuest roster. Unfortunately, at this point of the game TSM had no structures standing outside of their base and FlyQuest had nearly full map control. Despite these disadvantages, it was TSM who started up the second Baron of the game, only for it to be stolen away by Santorin. TSM looked to be in good condition to win the resulting team fight, but it was all just a ruse by FlyQuest. Empowered by the Baron, V1per ushered a large bot wave into the TSM base and destroyed their nexus just before Bjergsen got back to defend. The backdoor loss dropped TSM to a 2-2 record for the season, putting them in a six-team tie for third place. Their matches next week against Golden Guardians and Cloud9 will be crucial in ensuring the team keeps pace with the rest of the league.